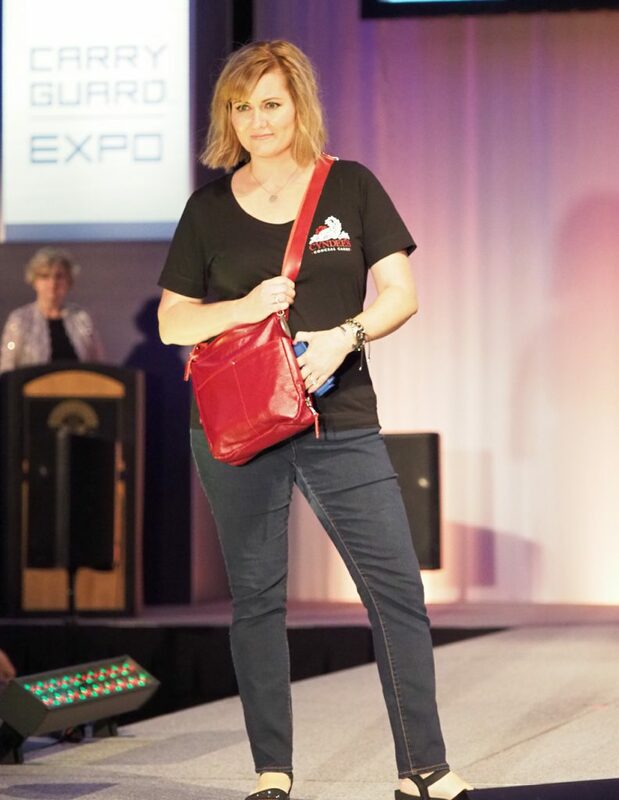 This year on the first evening of the NRA Carry Guard Expo I was able to attend the NRA's first Concealed Carry Fashion Show. 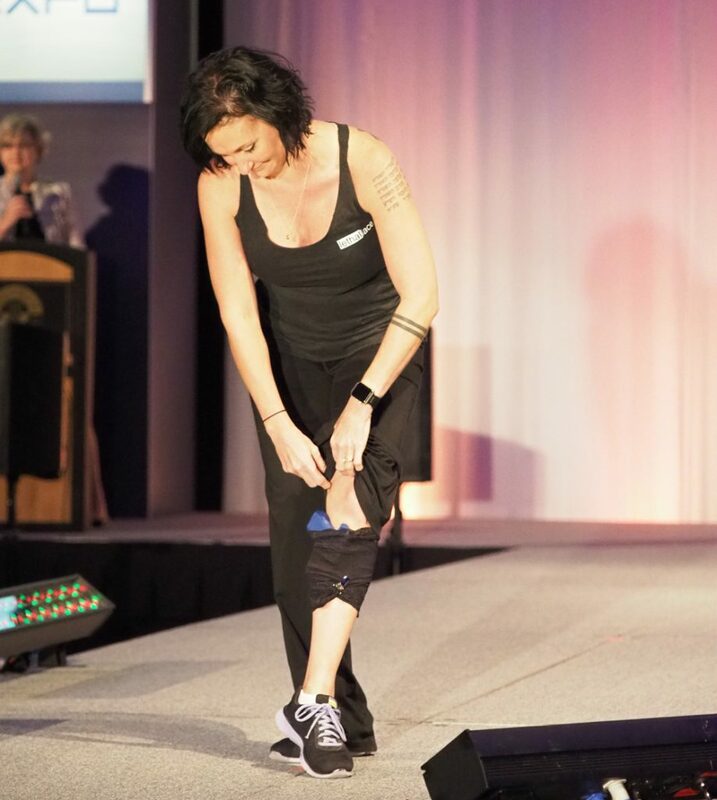 There was much to celebrate with products from 30 different companies being represented on a runway assembled at The Wisconsin Center. 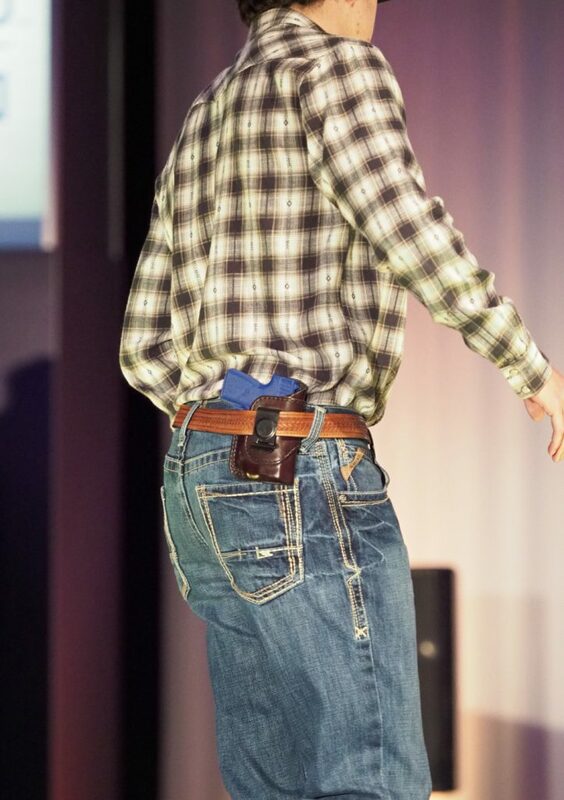 Many people may hear the words Fashion Show and imagine images of well dressed models demoing expensive clothing and accessories, but this was far from the reality of this NRA Fashion Show. This show was about the product and each product was “carried” down the runway by a representative of the manufacturer of that product. For the greater part, these “models” wore the same trade show apparel they had been wearing all day at their own booths. The show was also a Unisex show with both male and female models showing products for both genders of today's armed citizenry. Products included a large number of holsters including purses, mag carriers, bags, as well as firearms (shown as blue guns). I for one didn't understand the inclusion of a firearm in a fashion show. I suppose to some degree a firearm might be part of a fashionable ensemble but if that is the case let the model show the actual firearm instead of a blue hunk of plastic. The guns in the showroom have all been checked and tagged as safe and inert. Not sure why those can't be on the runway of the fashion show. Attendees were invited to vote on their three favorite products of the night, turning in a ballot on their way out the doors. When the results were tallied the top 3 companies were Lethal Lace, 5.11 Tactical, and Crossbreed. The Universal Lethal Lace Holster Shown by Designer Tessa R.
So what did I think? It was exciting to sit in a room and see our industry come together to put on a fashion show. People had fun and I think manufacturers and entrepreneurs were thrilled to have the opportunity to showcase their product in that context. In that regard I say Bravo to the NRA and everyone who participated. I also feel there is room to improve for next year. There are some inherent challenges that may be better managed. For example, it is hard to walk down a runway and showcase a product that inherently is meant to not be seen. Also, while we want to keep the focus on the product and not the model or the model's clothing some more thought toward outfits and being fashionable might be well directed for a fashion show. What do you think about the fashion show? Was it a good idea and something you'd like to see the NRA do again? Or, is this something that should be kept for NYC? Let us know, below. Great idea wish I had known about it so I could have attended. I believe it is important when talking or showing an item such as a concealed carry holster or system that it be displayed in the same manner as it would be used! The fashion part of this is not the clothes but how well the concealed carry system actually functions and looks with every day clothes with which it will be used! Are you guys going to attend the USCCA Concealed Carry Expo in Louisville next April? I chose to skip the Carry Guard show because of how crappy the NRA treated USCCA at the annual meeting, excluding them due to competing products, despite the huge potential in the industry. This show for 2018 will be their third, I believe, so the kinks should be worked out and they do a fashion show as well. In fact, it was USCCA who started the fashion show for concealed carry. Doug, yes we will be in attendance. For us and our position in the industry we choose to attend all the events we feel are relevant and significant. We are less than happy with the NRA’s position/decision to be sure but we continue to support the NRA generally speaking and specifically related to their lobbying efforts. Looking forward to Kentucky April 2018 and in fact we have some plans to partner with the USCCA to do some cool things at that event! I have to agree with everything Doug said about the NRAs treatment of the USCCA . While I also agree with continuing to support the NRA foe all the other things they do as you mentioned they could have handled it much better . We are , after all , on the same side of all gun related issues . In my opinion the NRAs carry guard product is inferior to the one put forth by the USCCA . 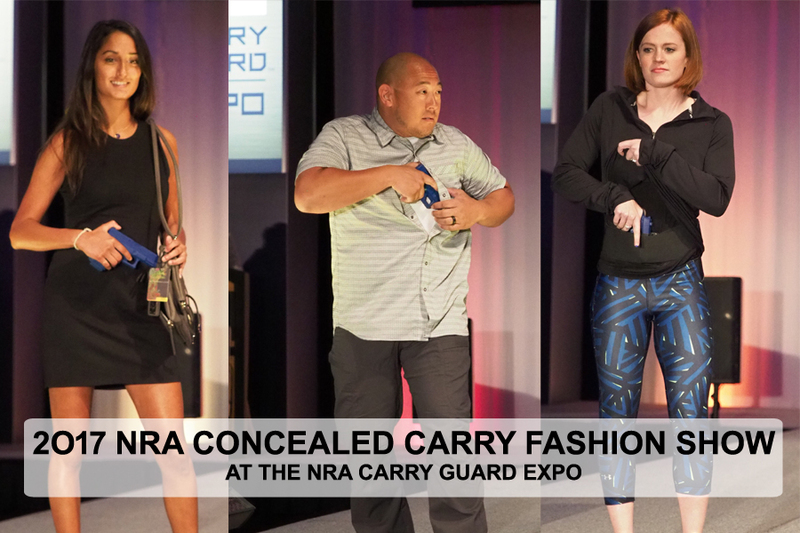 The USCCA has had the Fashion Show at every Expo they’ve held .